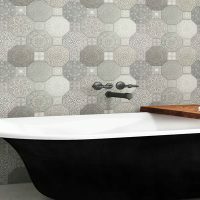 The Coimbra Mosaic is an attractive indoor feature tile that is ideal for use in bathroom walls. It features a stylish design, which comprises a random brickwork pattern of mixed stone, circular stainless-steel and solid black subway style tiles, and will add a modern touch to any bathroom it is used. The Coimbra Mosaic feature tile measures 298x298mm and are sold per piece. 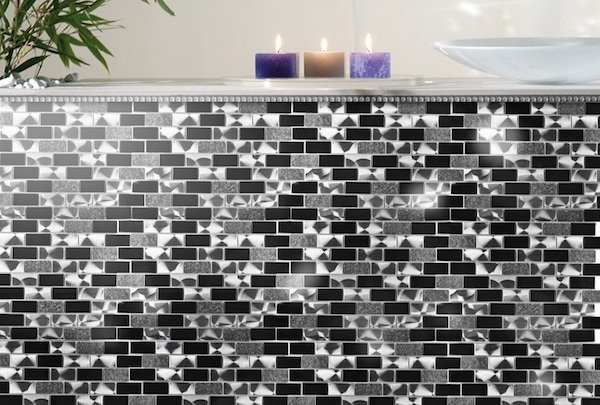 Add an ultra-modern touch to your bathroom with this feature wall tile. Its dark tones will perfectly pair with modern bathroom fittings and accessories, especially stainless-steel, matte black and chrome fittings. 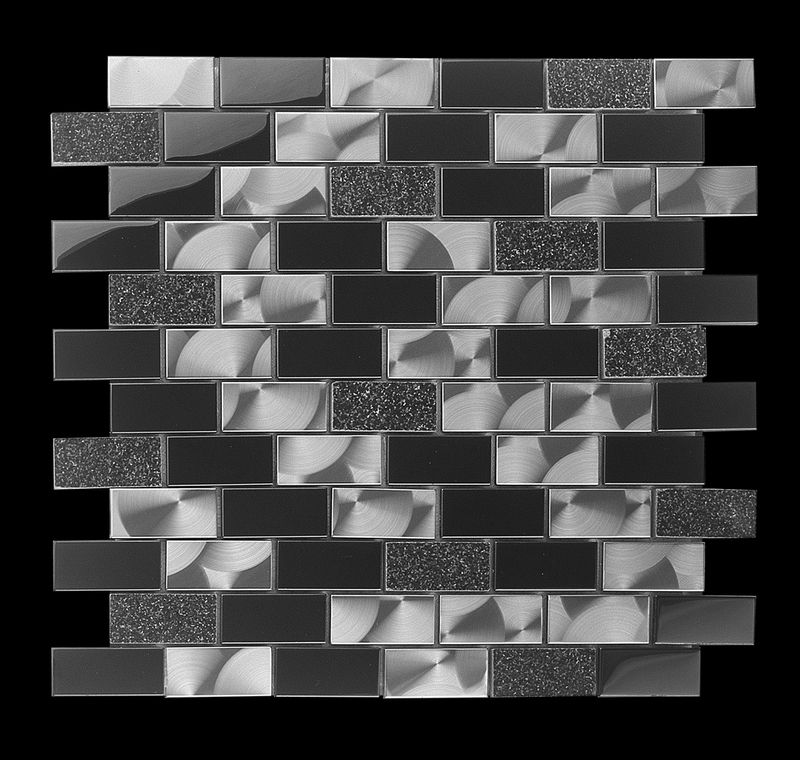 Enjoy the highest standards with the Coimbra Mosaic feature tile finish and overall tile quality. It is manufactured to be exceptionally robust and long-lasting and is an excellent choice for any bathroom. 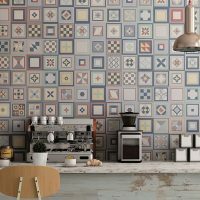 For attractive and modern feature wall tiles in Perth, you’ll find nothing better than the Coimbra Mosaic at Ross’s Discount Home Centre. 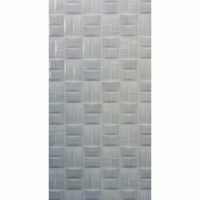 Buy this stylish feature tile at the best price from our online store and take advantage of our free Perth Metro delivery!